Chiropractor of the Year 2013! Carey Sigafoose, D.C., is a chiropractor located in Baltimore, MD. Take the next step and contact Dr. Carey Sigafoose, D.C., for a consultation in Baltimore, MD or to get more information. Paul Henry, D.C., is a chiropractor located in Baltimore, MD. Take the next step and contact Dr. Paul Henry, D.C., for a consultation in Baltimore, MD or to get more information. Norman Spector, D.C., is a chiropractor located in Baltimore, MD. Take the next step and contact Dr. Norman Spector, D.C., for a consultation in Baltimore, MD or to get more information. Sandra Jones, D.C., is a chiropractor located in Baltimore, MD. Take the next step and contact Dr. Sandra Jones, D.C., for a consultation in Baltimore, MD or to get more information. Joseph P Hughes, D.C., is a chiropractor located in Baltimore, MD. Techniques: • Cox • Diversified • Sacro Occipital Technique Take the next step and contact Dr. Joseph P Hughes, D.C., for a consultation in Baltimore, MD or to get more information. 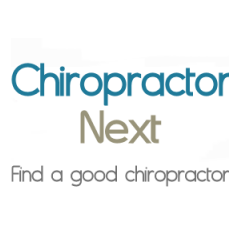 Charles N Cooper, D.C., is a chiropractor located in Baltimore, MD. Techniques: • Diversified Take the next step and contact Dr. Charles N Cooper, D.C., for a consultation in Baltimore, MD or to get more information. Nina S Showan, D.C., is a chiropractor located in Baltimore, MD. Techniques: • Diversified • Cox • Applied Kinesiology Take the next step and contact Dr. Nina S Showan, D.C., for a consultation in Baltimore, MD or to get more information. Quasha Walker, D.C., is a chiropractor located in Baltimore, MD. Take the next step and contact Dr. Quasha Walker, D.C., for a consultation in Baltimore, MD or to get more information. Mohammad Youseffi, D.C., is a chiropractor located in Baltimore, MD. Take the next step and contact Dr. Mohammad Youseffi, D.C., for a consultation in Baltimore, MD or to get more information. Paul Gemma, D.C., is a chiropractor located in Baltimore, MD. Techniques: • Diversified • Cox • Activator Methods • Gonstead Take the next step and contact Dr. Paul Gemma, D.C., for a consultation in Baltimore, MD or to get more information. Eric A Fisher, D.C., is a chiropractor located in Baltimore, MD. Techniques: • Diversified • Palmer Package • Trigger Point Therapy • Traction • Thompson Take the next step and contact Dr. Eric A Fisher, D.C., for a consultation in Baltimore, MD or to get more information. Ilene Fidel, D.C., is a chiropractor located in Baltimore, MD. Techniques: • Diversified • Sacro Occipital Technique Take the next step and contact Dr. Ilene Fidel, D.C., for a consultation in Baltimore, MD or to get more information. Charles Walder, D.C., is a chiropractor located in Baltimore, MD. Take the next step and contact Dr. Charles Walder, D.C., for a consultation in Baltimore, MD or to get more information. Steven Acocella, D.C., is a chiropractor located in Baltimore, MD. Techniques: • Diversified Take the next step and contact Dr. Steven Acocella, D.C., for a consultation in Baltimore, MD or to get more information. Allen J Eisner, D.C., is a chiropractor located in Baltimore, MD. Techniques: • Diversified Take the next step and contact Dr. Allen J Eisner, D.C., for a consultation in Baltimore, MD or to get more information. Jason Meyerson, D.C., is a chiropractor located in Baltimore, MD. Take the next step and contact Dr. Jason Meyerson, D.C., for a consultation in Baltimore, MD or to get more information. R J Santoriello, D.C., is a chiropractor located in Baltimore, MD. Take the next step and contact Dr. R J Santoriello, D.C., for a consultation in Baltimore, MD or to get more information. Angie Carey, D.C., is a chiropractor located in Baltimore, MD. Take the next step and contact Dr. Angie Carey, D.C., for a consultation in Baltimore, MD or to get more information. Douglas C Miller, D.C., is a chiropractor located in Baltimore, MD. Techniques: • Spinal Biomechanics • Palmer Package • Diversified • Active Release Technique • Soft Tissue Orthopedics • Trigger Point Therapy Take the next step and contact Dr. Douglas C Miller, D.C., for a consultation in Baltimore, MD or to get more information. Patty Martinez, D.C., is a chiropractor located in Baltimore, MD. Take the next step and contact Dr. Patty Martinez, D.C., for a consultation in Baltimore, MD or to get more information. Henry S Badders, D.C., is a chiropractor located in Baltimore, MD. Techniques: • Palmer Package • Diversified Take the next step and contact Dr. Henry S Badders, D.C., for a consultation in Baltimore, MD or to get more information. Jonathan Kramer, D.C., is a chiropractor located in Baltimore, MD. Take the next step and contact Dr. Jonathan Kramer, D.C., for a consultation in Baltimore, MD or to get more information. Patrick Lynch, D.C., is a chiropractor located in Baltimore, MD. Take the next step and contact Dr. Patrick Lynch, D.C., for a consultation in Baltimore, MD or to get more information. Mary R Steiner, D.C., is a chiropractor located in Baltimore, MD. Techniques: • Diversified • Sacro Occipital Technique • Activator Methods • Trigger Point Therapy Take the next step and contact Dr. Mary R Steiner, D.C., for a consultation in Baltimore, MD or to get more information. Brian Augustine, D.C., is a chiropractor located in Baltimore, MD. Take the next step and contact Dr. Brian Augustine, D.C., for a consultation in Baltimore, MD or to get more information. Nicholas Dezes, D.C., is a chiropractor located in Baltimore, MD. Take the next step and contact Dr. Nicholas Dezes, D.C., for a consultation in Baltimore, MD or to get more information. Hanna Eaton, D.C., is a chiropractor located in Baltimore, MD. Take the next step and contact Dr. Hanna Eaton, D.C., for a consultation in Baltimore, MD or to get more information. Sue Leach, D.C., is a chiropractor located in Baltimore, MD. Take the next step and contact Dr. Sue Leach, D.C., for a consultation in Baltimore, MD or to get more information. Larry Yalich, D.C., is a chiropractor located in Baltimore, MD. Take the next step and contact Dr. Larry Yalich, D.C., for a consultation in Baltimore, MD or to get more information. Michael A Dorn Jr, D.C.
William Osborne, D.C., is a chiropractor located in Baltimore, MD. Techniques: • Diversified Take the next step and contact Dr. William Osborne, D.C., for a consultation in Baltimore, MD or to get more information. Ryan Livisay, D.C., is a chiropractor located in Baltimore, MD. Take the next step and contact Dr. Ryan Livisay, D.C., for a consultation in Baltimore, MD or to get more information.